Jamal Khashoggi, the Saudi journalist now heading Saudi billionaire Prince Walid bin Talal’s new Arabic news channel Al Arab launching at year’s end with a 300-strong staff, is calling for an Arab Marshall Plan to put Arab Spring countries back on their feet. The United States launched its five-year Marshall Plan, also known as the European Recovery Program (ERP), in 1947 to rebuild European economies after the end of World War II. The Arab Spring upheaval cost its worst affected countries at least $56 billion in lost GDP in 2011, according to a report by consultancy group Geopolicity. The figure is approximate and does not take into account losses to human life, infrastructure or business and foreign direct investments. “We Arabs won’t let down Egypt, Tunisia, Morocco or any of the Arab Spring countries. 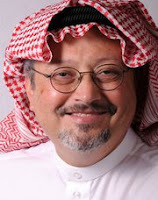 Better we worked as partners for an Economic Arab Spring,” Khashoggi writes in an op-ed piece today for pan-Arab al-Hayat. Stable Arab states would devise “an Arab Recovery Program akin to the Marshall Plan for all countries affected by the Arab Spring.” The Gulf Cooperation Council would fund the ARP via the Arab League.